Restore your vehicle to top condition by seeing our technicians for auto windshield replacement in Winston-Salem, NC. 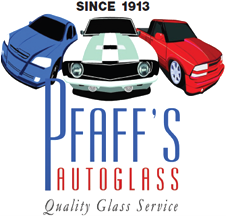 At Pfaff's Auto Glass Inc, we help you drive with confidence again with our complete windshield replacement services. When your windshield becomes too chipped or cracked to continue driving safely, reach out to our team for assistance. Whether you were in an auto accident, got struck by debris, or a small crack spread too wide, our technicians have the tools and training necessary to quickly replace it with new, high-quality auto glass. We offer car windshield replacement, as well as services for trucks, vans, and RVs. All makes and models of vehicles are serviced at our shop, including foreign and domestic vehicles. Our technicians even service commercial vehicles that require auto windshield replacement. Replace your windshield with auto glass that is guaranteed to last. All the new windshields we furnish and install are guaranteed against stress breaks for a period of 90 after the work is complete. Our windshield replacement technicians always use high-quality glass that will protect you and your passengers well for years to come. 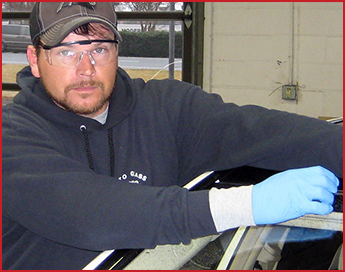 At our licensed company, we employ experienced technicians who can handle any kind of car windshield replacement job. No matter what kind of windshield you have or how it is damaged, we can quickly and correctly replace it for you. For more than 100 years, our company has met the glass needs of cars, trucks, vans, and other vehicles. You can count on us to do the job right the first and get you back on the road fast. When your windshield is broken beyond repair, it often isn't safe to drive. That is why we offer mobile windshield replacement services in addition to those available at our shop location. Our mobile team has all the right equipment to replace your auto glass no matter where your vehicle may be parked. Give us a call and soon our technicians will be en route to you. Most insurance companies cover auto windshield replacement, but it is can a struggle to get what you are due. We work with your insurance company to make things less stressful for you. Our company has worked with a diverse array of insurance providers over the years. No matter who gives you coverage, we are prepared to ensure you are well-served. Contact our auto windshield replacement company to contact mobile services or learn more about what we do. We are proud to serve drivers throughout Winston-Salem, Greensboro, Oak Ridge, Summerfield, Mebane, and Burlington, North Carolina, as well as the surrounding areas.